It’s easy to reach for a Zip Lock bag when you’re rushing to pack your child’s sandwich for school or when you need something to store your leftover avocado. It’s even convenient for stashing travel size shampoo, conditioner, and soap when packing for a trip. The problem with a Zip Lock bag, however, is they’re not ideal for long-term storage. It can also be too thin so gas can get through the bag over time. So if you want to use something to store for longer, we have an exhaustive list of alternatives to zip lock bags that offer factors such as efficiency, sustainability, and affordability. Following World War II, families across America have reached for aluminum foil to wrap sandwiches and cover food before storing it in the refrigerator or freezer. It is less rigid than tin foil and substantially thicker than plastic. Moreover, it does an excellent job of trapping the aroma of heavily scented foods. A chemist stumbled upon this clingy substance back in 1933. It was used for a variety of purposes until 1940 when it was marketed as a food covering. Since then, households have used plastic wrap as a lid substitute. Before refrigeration, households across America found it difficult to keep their favorite foods from spoiling. Thanks to tinsmith John Landis Mason’s invention in 1858, the task became a little bit easier. The glass jar features a unique two-part lid with an integrated rubber ring that creates an airtight seal to preserve marmalades and store spices. Mylar, also known as BoPET (biaxially-oriented polyethylene terephthalate), is a stretch film. The product has many uses, including insulating houses and food packaging. It consists of several layers of unique compounds that make it possible to preserve food for years. Cellophane is a natural substance that comes from the cellulose (cell walls) of trees and plants. Generally, the product is 100% biodegradable. Most cellophane bags expand, making it an excellent choice for storing baked goods, nuts, and candy. 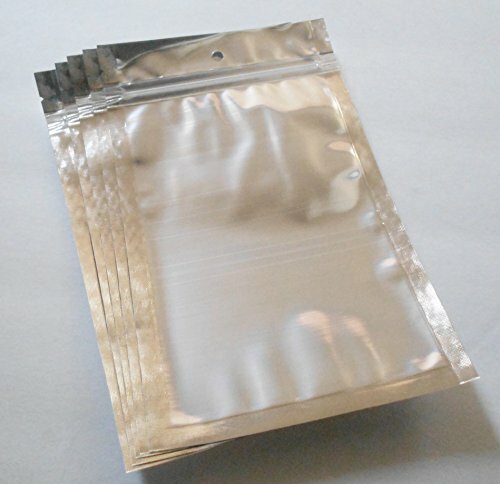 Silicone bags are the most versatile of the zip lock bag alternatives. Not only is the material free of the annoying crumpling noise that accompanies plastic and foil, but it also can withstand extreme temperatures. Thanks to its hermetic seal, you can boil cuisine inside or keep meals airtight in the freezer. 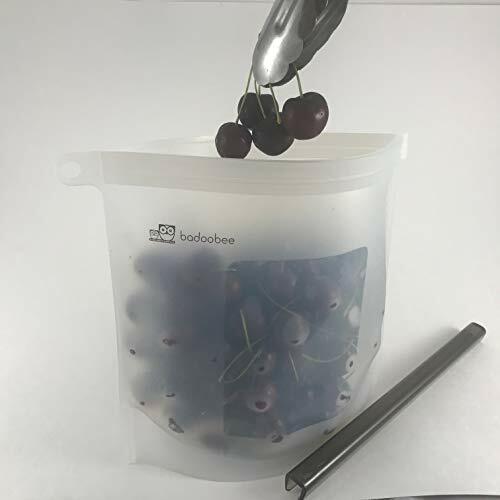 The forerunner to re-sealable snack and storage bags, wide-mouth plastic bags offer a simple way to store fruit, vegetables, meat, and bread. Originally, people merely put a knot at the end of the bag to protect and transport food. With the discovery of the twist-tie, it became apparent that the bag could serve multiple uses, including piping pastries, organizing baubles, and storing food and household supplies. Polyethylene is the substance used to make plastic bags. Although it was discovered in 1898, the first baggie wasn’t introduced until 1957. A fold-over closure offers quick and easy access to sandwiches and snacks. This multipurpose material clings to almost anything, including wood, plastic, and paper. Plus, it is easier to manage than an ordinary plastic wrap. Use it to cover items without lids. Wrap paintbrushes and trays. It also comes in handy at the beach to keep water and sand from damaging electronic devices. Moreover, it seals in flavors and keeps food fresh for grilling and picnics. Chemist Earl Silas Tupper introduced plastic containers in 1942. The non-breakable containers proved to be a hit in the kitchen. Many manufacturers make plastic containers in various sizes, shapes, and colors. 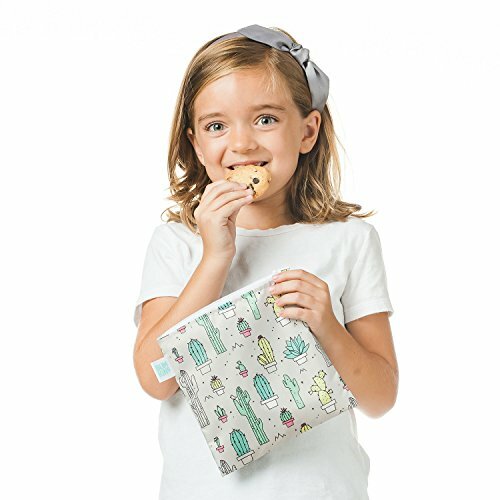 Alternatives to Zip Lock bags include fabric zip-top snack bags. As opposed to Zip Lock bags, these products have a real zipper. They contain a non-toxic lining and come in handy for packing a sandwich, celery, carrots, and diced fruits. Like the zip-top bag, this bag has a fabric shell and a chemical-free lining. The hook and loop closure aligns easily for quick unlatching and fastening. The expandable base on flat bottom bags makes them easy to fill. They serve multiple uses for keeping snacks fresh, preserving produce, and freezing meat and soups. The double-lock closure creates an airtight seal. In 1852, a schoolteacher by the name of Francis Wolle invented the machine to make paper bags. Since then, multiple inventors have perfected the bag to serve various industries. For food storage, you will find brands with a closure similar to those found on zip-lock bags for short-term use. Insulated bags were first introduced in the mid-1980s. Generally, the outside is made of a water-resistant material. The thermal material inside helps control moisture and maintain the temperature of foods and drinks. Pizza chains used them to keep food warm and the delis use them to protect sandwiches and food trays. Potato sacks help preserve onions, potatoes, and other vegetables. Some bags have a lining to block light to keep veggies from sprouting. Others are made with a tight weave to keep light from seeping through. A drawstring closure keeps food from falling out. To make Bee’s Wrap, a blend of beeswax, jojoba oil, and tree resin is painted onto sheets of organic cotton. The mixture makes a flexible cover that allows you to mold it to the shape of fruits, vegetables, and cheese. It can also be used as a cover on bowls. Debbie Meyer designed green bags in 2005. The bags create a natural storage environment to preserve fruits and vegetables longer than when placed in regular plastic bags or containers. Stainless steel storage containers come in a variety of styles. From small, square models that only hold a sandwich to rectangle-shaped units with dividers that allow you to pack an entire lunch. Tall containers are also available to store dry goods like spaghetti, sugar, and beans. They come with pressure-fit lids to keep food fresh.